Buy your HOPPECKE Sun | Powerpack Classic 6.4-48 battery at the lowest price - online only. 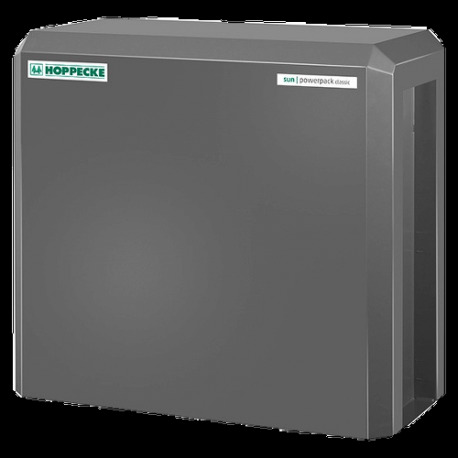 The HOPPECKE AGM technology has been optimised to provide a performance equivalent to OPzV. The result: excellent performance which enables for up to 2.500 cycles at a 50% discharge rate. This complete pack is ready for use in an easy way. Storage capacity: 6.400 Wh: VICTRON batteries offer a capacity of 6.400 Wh to meet your needs. That is equivalent to 6.400 W during 1 hour. If this capacity isn't sufficient, add the same batteries multiple times to your cart. Capacity simply adds up.